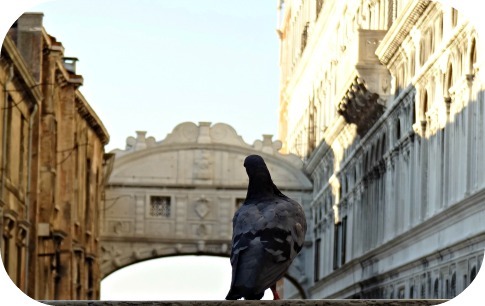 What happened at the Bridge of Sighs in Venice? The Bridge of Sighs at Venice Italy. A shivering experience when you know what happened over here. 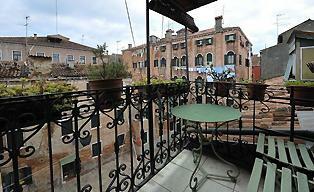 Imagine the sighing prisoners and your appetite for a nice Venetian meal will disappear. You will find this bridge next to the Doge’s Palace. The famous Bridge of Sighs? The famous bridge (also named; Ponte Dei Sospiri) is a prominent tourist landmark. It’s an early 17th-century Baroque structure that crosses the palace to the prisons. You can walk through the Bridge of Sighs! Book an exclusive tour at the Doge's Palace to walk through the bridge. Then you see how Casanova managed to escape. Because we've partnered with Tiqets.com who has individual tickets for a guided tour. Very special for the price of EUR 55, -. You can pay directly by credit card. Then you immediately get the tickets and can show it on your smartphone. So when decided 10 minutes before, you can go straight inside! Book, therefore, your tickets online >. How does the bridge get its name? 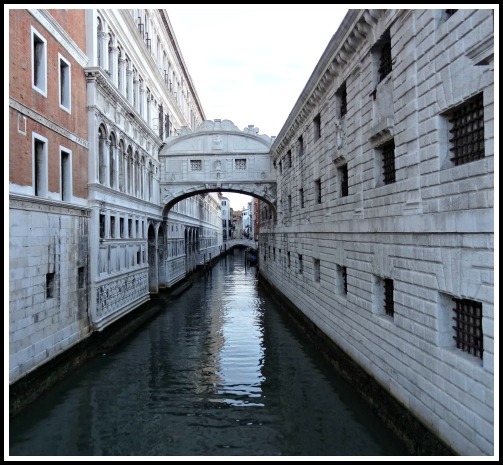 The ancient function of the bridge is a far from happy one: it connects the Hall of the Magistrates in the Palazzo Ducale to the New Prisons. Many unhappy criminals had reason to sigh as they crossed it. People like the famous Casanova and Galileo Galilei were locked up in this prison. Prisoners like them were sighing before entering the chilly dungeons. The last breath and a view of daylight. Later on, Casanova knew to escape spectacularly. The night of October 31 in the year 1756 he climbed out of his cell. He crossed the whole palace where a guard lets him out. The guard mistook him for a politician. The legend says before Casanova escaped over the sea on a gondola he drunk a coffee somewhere at a cafe along the San Marco square. If you want to take a picture of the bridge, my advice is to stand on the Ponte Della Paglia. You can make beautiful pictures. Especially in the early morning. At this time there are no tourists, and there is a silent which you don’t have during the daytime. When I took a picture, only a pigeon disturbed my view. But, it didn’t take long before the pigeon became my friend. I stood there for maybe 30 minutes. I've tried if I could hear the sigh of the convicts who went to the dungeon. Unfortunately, I could only hear the wind and the sounds of the early morning. It is a unique bridge, and you should undoubtedly visit once. Please let me know when you hear the sigh... Or send me some pictures which you took of this bridge. Return from 'Bridge of Sighs' to my other favorite 'Top 15 Venice Italy Attractions' where you can read more about the top sights in Venice!